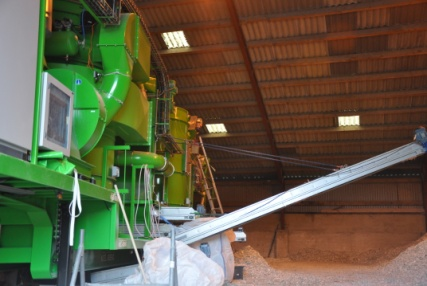 Gypsum Paper Recycling Now Possible! Gypsum paper is one of the two fractions arising from the recycling process of plasterboard waste. 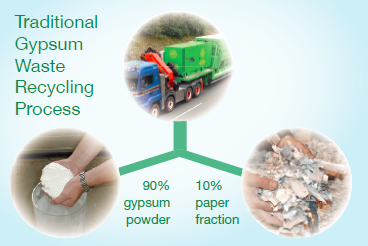 When recycling gypsum waste, 90% is turned into recycled gypsum powder, while the paper fraction makes up 10%. Traditionally, there has been too many contaminants in the mix and too much gypsum glued on to the paper in order to reuse it again as a paper. GRI has achieved a 100% recycling rate by developing a new technology that turns the paper fraction from the waste recycling process into a valuable raw material for the paper industry. 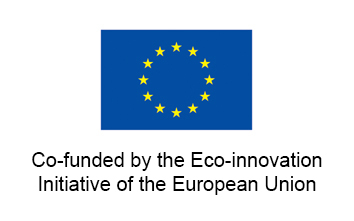 The project is co-funded by the Eco-innovation Initiative of the European Union. Like GRI’s waste recycling units, the paper recycling unit is completely mobile and, thus, can be used in various countries, avoiding costly and unnecessary burdening of our environment by numerous transports of paper. The paper fraction that results from the recycling of the gypsum waste still contains gypsum powder and other contaminants. The new treatment ensures that more than 50% of the “original” paper fraction becomes a valuable raw material for the paper industry. The remaining 50% contain a lot of gypsum and find its way back to the manufacturers of plasterboard and cement. recycling technology with our new paper recycling technology, we guarantee our customers that 95% of all plasterboard waste results in recycled gypsum powder and 5% recycled paper.